Parallels between the evidence of water on Mars and subglacial lakes in Nunavut has renewed optimism for life beyond Earth among researchers. 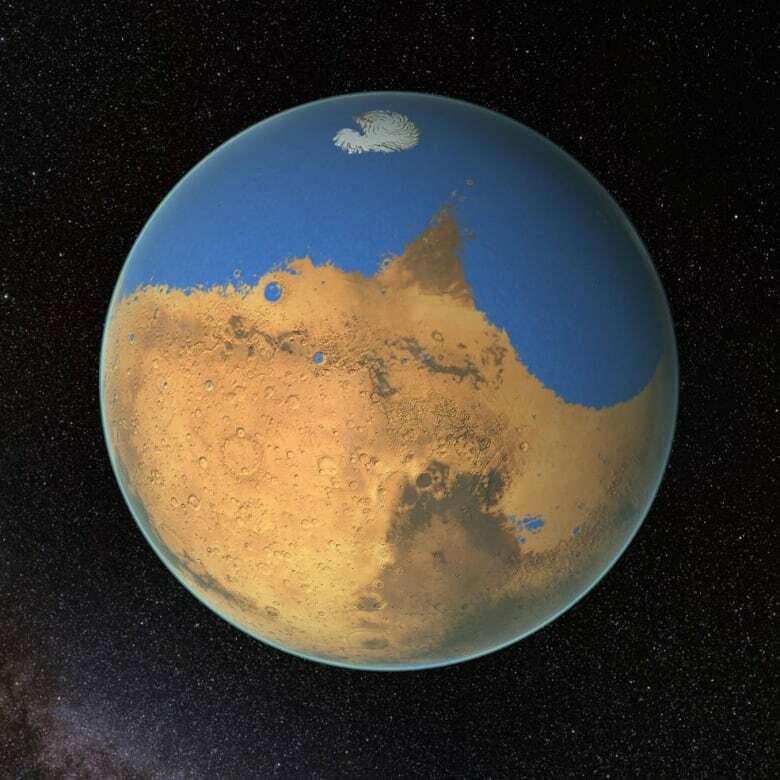 Researchers have a renewed optimism for finding life beyond Earth, after discovering strong evidence of liquid water on Mars in a subglacial lake not unlike those found recently in Nunavut. 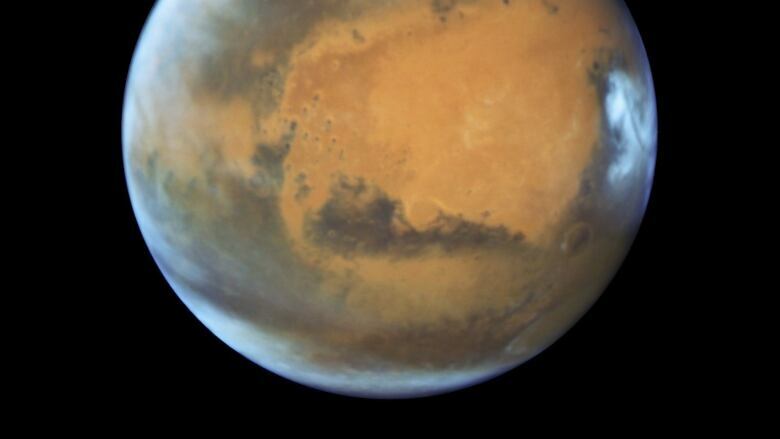 On Wednesday, the Italian Space Agency announced they had detected an apparent reservoir one and a half kilometres below the red planet's surface. 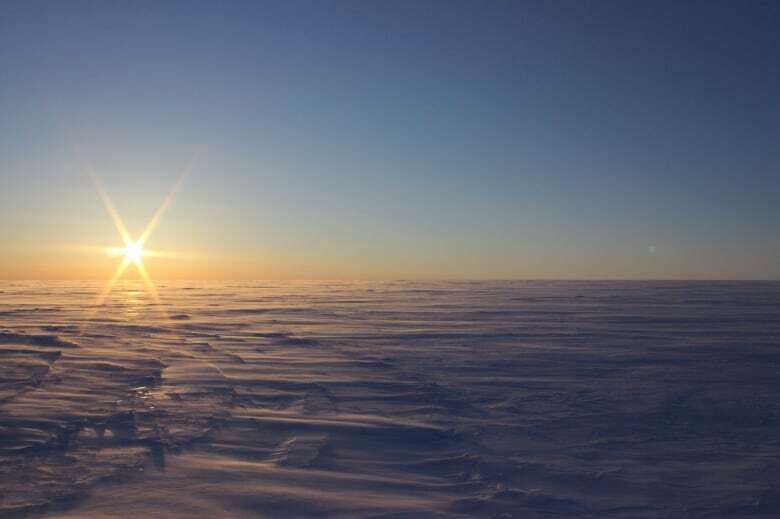 The water's location is being compared by scientists to the discovery of two lakes under a glacier on Nunavut's Devon Island earlier this year. The island's subglacial lakes are home to tiny microbes. Researchers believe there might now be a parallel on Mars, meaning it's possible that life could exist beneath the planet's surface today. "That's why with this finding is so intriguing," said Gordon Osinski, a professor of planetary geology at Western University. "Microbes were able to survive even in ice, let alone water," he told The Current's guest host Megan Williams. "Mars has all the ingredients for life." The existence of microbes on Mars would have major implications for the likelihood of intelligent life in the universe more broadly, according to Nathalie Cabrol, an astrobiologist and director of the Carl Sagan Center for Research at the SETI Institute. "Having two planets out of eight in a solar system that had developed life is going to tell you about the potential abundance of life in the universe. It means that life has to be extremely abundant," she told The Current. "The more we find planets and moons with microbial life the more likely we are to find intelligent life — just because of statistics." This segment was produced by The Current's Richard Raycraft, Allie Jaynes and Jessica Linzey.